Triangle is a very common shape in our daily lives. You can see it almost everywhere. There are a lot of different triangles in this world. 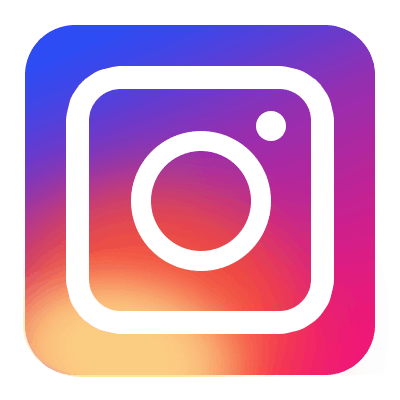 For example, most road signs are in triangle shapes; A lot of people would do triangles for their tattoos, you probably have seen them from your friends; The Eye of Providence in the triangle shape on the one dollar bill; The famous pyramids in Egypt; The pink triangle symbol for the gay society; Clothes hangers are in triangle shape, etc. Triangle is one of the basic shapes in geometry. It’s a polygon with three edges and three vertices. So, basically there are three lines connected with three meet-up points. As simple as that. Triangle is a simple shape, but it has a rich history since early civilizations. Triangles were used in many civilizations’ art and history. In Ancient Babylon, geometric shapes like triangles were used in buildings and roofs. Triangles were also used in calculating the areas of trapezoids and rectangles. The Egyptians used triangles on the designs of sacred buildings like pyramids. The Mayans and Aztecs also had pyramids, on which they applied triangles in a similar way. In Greece, Thales of Miletus, who was a philosopher, mathematician and astronomer at the same time, came up a clever method for calculating a ship’s height at the ocean by using the triangle sail’s length and height. Triangle is also a significant symbol to the Christians, who believe in the Holy Trinity—that God is three consubstantial persons or hypostases—the Father, the Son (Jesus Christ), and the Holy Spirit—as "one God in three Divine Persons". And this is represented by a triangle shape. Now let’s look at triangles in modern day use. Nowadays triangles are widely used as designs on fabrics, architecture, church windows, print designs, and logos, etc. 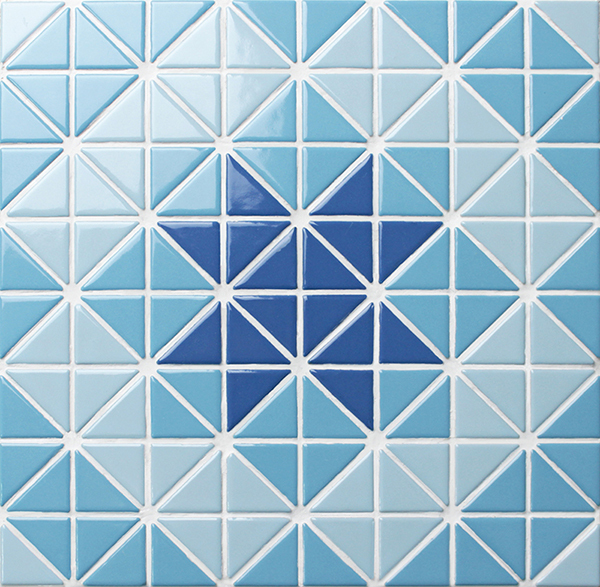 And now Bluwhale Tile has brought triangles into swimming pools. We’ve developed a new pool tiles triangles series. First of all, let’s take a look at the pure color pattern. The pure color pattern contains mainly the four colors above, blue blend, from light to dark. 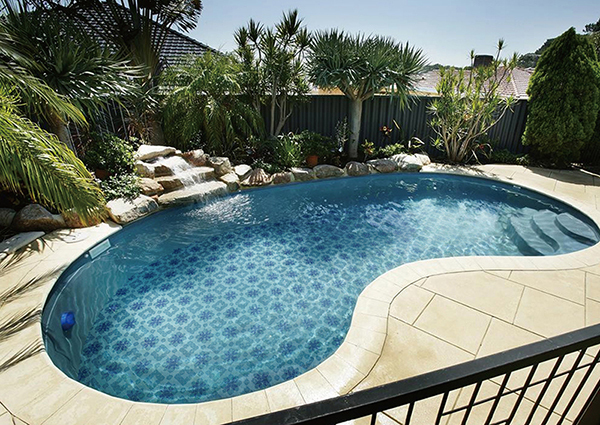 Blue has always been the main and popular color since the earliest pools. Usually people choose blue swimming pool tiles to match the color that the water reflects as a result of the sky's color in the day time due to Rayleigh scattering. Plus, blue pool tiles can scatter more blue light throughout the pool and result in a much cleaner look. Most people will avoid green pool tile, because it’s an indication of algae, you don’t want the water to be green, do you? People’s jaw dropped when two Olympic pools at Rio turned from blue to dark green in 2016. Did someone put something in the water? Was the TV set broken? The popular blue color in the unique triangle shape, that’s quite a match, isn’t it? 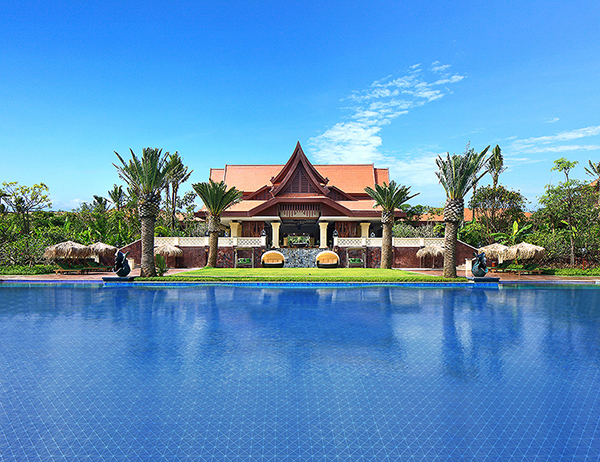 Now take a look at the image below: outdoor, sunshine, blue sky, bluer pool because of the blue pool tiles. Close your eyes and imagine swimming in the pool, facing down and looking at the triangle pool tiles, isn’t it something fascinating? Especially when you are tired of those regular pool tiles in square or rectangle. So, maybe it’s time for you to look for something new and unique for your next pool remodeling project! 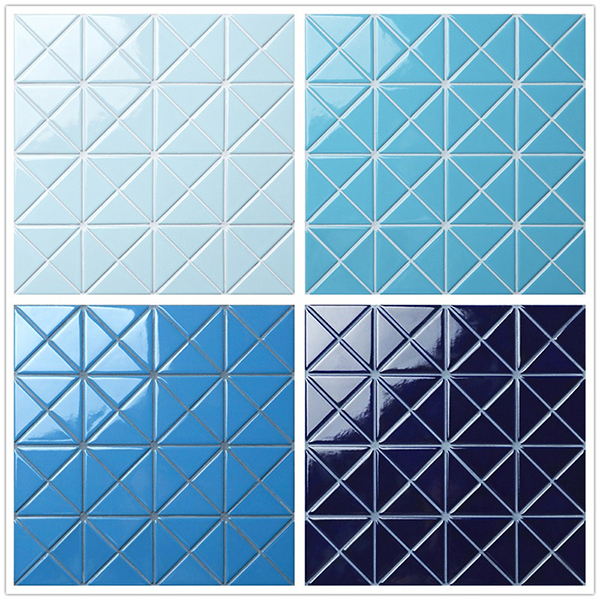 And Bluwhale’s pool tile triangle series would be your first choice. You’ll be inspired by Bluwhale’s swimming pool tile ideas. The pure color pattern is just the basic pattern, yet triangles are far more than that. A lot more patterns can be created from the simple triangle element. You just need to be a little bit creative. For example, let’s take a look at the blossom pattern below. All the triangle chips are the same size, but with different colors, different patterns can be created. The patterns can be unlimited, because the creativity is unlimited. And what’s amazing about this blossom pattern is the outcome when more than one sheet is put together. It’s like a puzzle game, there is something you don’t see when it’s just one sheet. This blossom pattern pool tile is just a perfect choice for your backyard pool, isn’t it? Now I’ll let the image below do the talking. And I think blue pool tiles go with any pools. Do you agree? 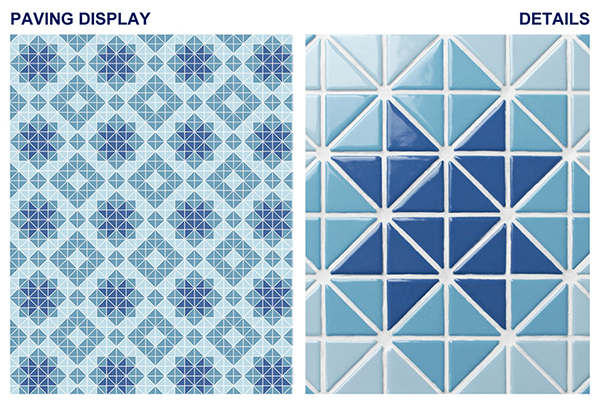 Click for more info about our triangle series new pool mosaic tiles supply.